Clubs, discos, bars are all places, where people go to relax and have some great time. The main difference between them and other places of entertainment can be found in the atmosphere they create. 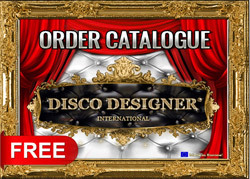 To rely on the disco lighting for obtaining unique atmosphere, is one of the best options available for any nightclub business. The perfect disco lighting should be neither too bright, nor too dark, so that it can make every single person in the club feel comfortable on the dance floor. Different models of disco lighting can be found anywhere on the market. But before heading for a purchase, it is wise to gather some information regarding the different features which each product has. Recently, many people have turned their look onto the LED technologies, so it is not a big surprise that the LED disco lighting is on the top of any nightclub owners’ wish-list. What are the reasons for this? Well, on first place, the LED disco lighting looks fantastic. It has the possibility to offer practically any kind of colour (the number can reach up to 16 million). In such a way, the theme in the discotheque can be changed within seconds – for instance, it could be all in red on some love song, and then for the next track it could transform into something more vivid or wild with a simple flick of the switch. Second, they give the nightclub this modern look that the visitors would like to see. People sense the surrounding world through their eyes and ears, so do not underestimate the effect that the lighting may have on their mood. If they are having some great time in your nightclub, then you can expect that you will see them more often. What is more, they may also bring their friends and families with them. So where to start from? The first step is to decide what your target group of customers is going to be – will you try to attract the young generation or you will try to entertainment more mature people? The youngsters are full with energy and they like wild parties, so you need to offer them more and thrilling effects, while the adults prefer calm atmospheres. Then, depending on the choice you have made in step one, you have to look for the appropriate equipment. You may need huge dance floor, LED disco panels covering the wall, LED ceilings, a decent number of moving heads, strobe lights and so on if you are planning on organizing wild parties for your guests, or you may go for a smaller investment, skipping most of the things in this list, if your idea is to rely on mature people as customers. Where can you find all this equipment? The easiest way is to check out the World Wide Web. If you spend some time in research, for sure you will find good equipment for a great price. Make sure your investigation is deep and in details. It is much better to spend some extra time on it if in the end it would help you out to save a decent sum of money. After all, as mentioned previously, most of the modern disco lighting relies on the LED technology, which has just a couple of disadvantages and one of them is exactly their relatively high price. Of course things will probably change in the future, but for the time being, this is the reality that everybody has to reckon with. One more significant thing to keep in mind – it is always good to see in action the product you have chosen to buy. There is a good chance that you can find some of the equipment in some of the local bars and nightclubs. Pay a visit to them and see what they offer and also try to spot the mistakes they have made and do everything possible to avoid them when you are planning on your disco lighting. Finally and most important – whatever you do, if you are uncertain about something, do not hesitate to look for some help from different experts with a solid background in nightclub business. These people have seen a lot in their professional life and could give you an indispensable advice about your disco lighting.